A family brand modelled on nature, ‘Moonya Moonya’. 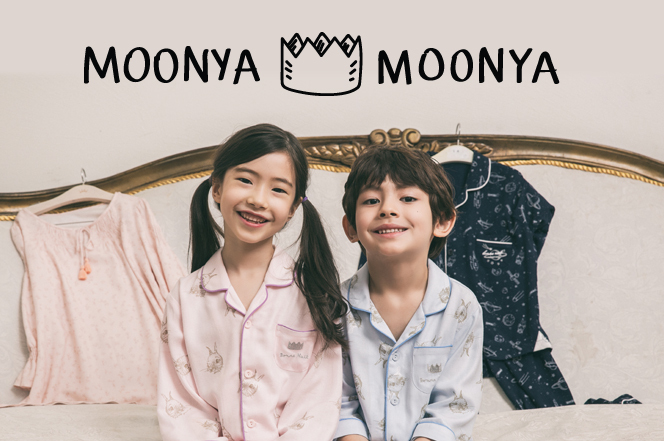 ‘Moonya Moonya’ is a brand with lovely family and nature. ‘Moonya Moonya’ is the luxurious, eco-friendly, and comfortable brand that contains special colors for a lovely family. The night with moon rising is the nature and space that contained us. Children’s dreams during the night. ‘Moonya Moonya’ has children’s hope going forward to broader future. Our children who have a lot of curiosity. The world is the place that is filled with curious things for children. The world with the view of innocent children’s eyes! The world where children can imagine anything endlessly.